Messy Church is a registered 'Children's University' session - don't forget to bring your passports! 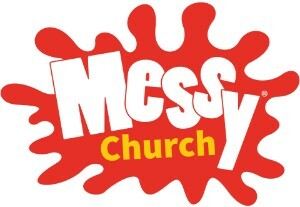 Messy Church meets on the first Saturday of every month from 11am-1pm oe 2pm - 4pm at St Katherine's Church in the School! In 2011, the Parish of Canvey Island ran their first messy church at St Katherine's Church in the School, as part of the Parish Gift Day events. This was such a huge success that it was decided that more Messy Church events should take place throughout the year, at St Katherine's. We welcome families of all shapes and sizes, but children must be accompanied by an adult. There is no cost for joining in the Messy church, as this is a church for all of you, but donations are gratefully received.